Katherine Murphy's practice explores personal and public places and the relationships between. For this show Murphy reflects upon her pursuit for perpetual repose and has included paintings from her series In Search of a Quiet Place and Tents. 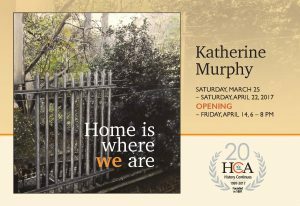 Katherine Murphy is a multidisciplinary artist with roots in painting. Her works often veer toward recorded memories and places. She has exhibited locally and internationally.